The following is a snippet from my newsletter. To subscribe, click here. I decided not to do resolutions this year. It seems like an exercise in futility since I can look back and see myself making and failing on the same resolutions year after year. Instead, I decided to take a cue from some friends and focus on a word for this year. One, that I am ENOUGH. Who I am, right now, is enough. I do not need to be defined by performance, by making myself useful, or by making others laugh. I can rest in who I am without tap-dancing to gain the approval of others. I do not need to be defined by accomplishments or relationships. 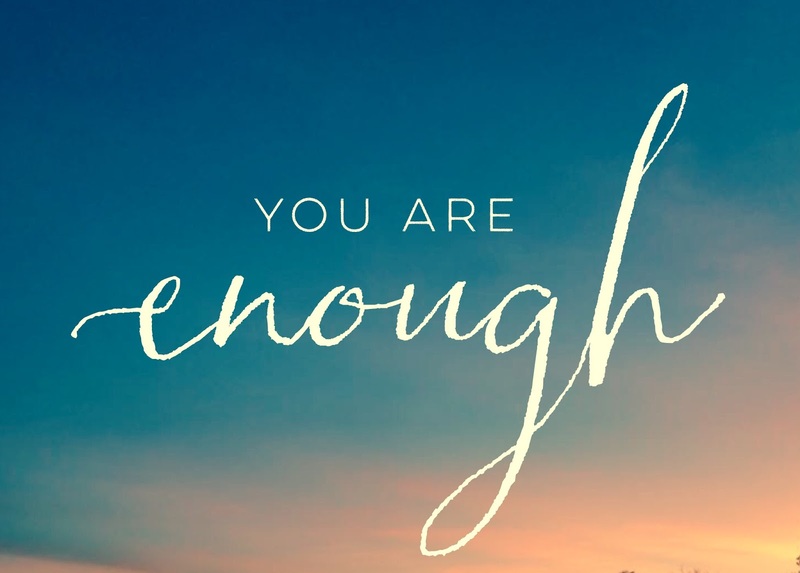 I am enough. The word is also meaningful for me in that I’m giving myself permission to say “enough” to situations or relationships that are toxic. I’m drawing new boundaries. I’m pursuing empowerment in ways that I have struggled with being dependent or passive. I’m also trying to shift my focus as a parent. Let myself off the hook in some areas, while stepping it up in others. I’m signed up for a Brene Brown course on The Gifts of Imperfect Parenting, which sounds like exactly what I need right now. Not perfection . . . just good enough. I love your word. Still trying to come up with mine!